Looking for a set of saddle bags or a handle bar bag to add a little storage to your bike? It makes that commute easier but everything at the bike shop looks like it should be strapped to a $5000 race bike; fluorescent, reflective and paper thin. 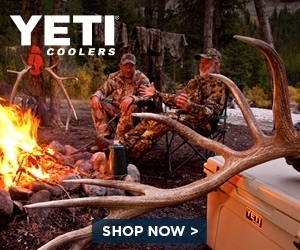 Well, if you care less about shaving grams and more about style and durability, then these guys have the bags for you. Frost River, makers of incredible canoe packs and other luggage and bags, doesn't build stuff that will last you a few months. They build bags that your grand-kids will fight over. I had the chance to review their Grand Portage Pack earlier this summer, I absolutely loved it. 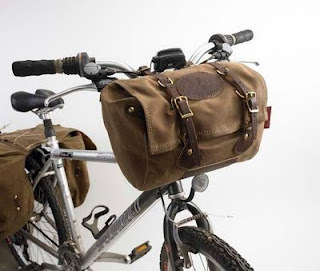 Whether it is the Echo trail or Gunflint Trail seat bags, the Highway 1 Panniers, or the Sawbill Trail or Caribou Trail Handlebar Bags, you get rugged waxed canvas with real leather straps and solid brass hardware. The vintage Americana that oozes off these things is simply amazing. Not sure if they are brand new or 100 years old, that is the beauty of such classic style. Now, you can load up your bike for a trek through your nearest National Park or grab the essential groceries on the way home from work. If you want to take that vintage cool with you after you lock up your bike, add the Messenger Bag to your collection. No matter what you pick, they guarantee it will last, forever. Seriously. Lifetime guarantee. Get that with your 8 ounce neon yellow seat bag that holds your keys and a chap stick..... Not likely.